The financial affairs of the Port of Los Angeles are overseen and managed by the Deputy Executive Director & Chief Financial Officer. Finance operations are managed into five major functions: debt and treasury management; financial management; risk management; accounting and budget; and internal management audits. The Deputy Executive Director & Chief Financial Officer is responsible for the overall planning, managing, and reporting of the Port’s financial transactions, including the performance of general accounting activities; development and implementation of the Port’s annual budget; issuance of the Port’s annual financial statements, single audits, and bond disclosures; and performing financial analysis, strategy, and performance measures. Debt and Treasury Management Division manages the Department’s cash resources, including investment portfolios of restricted cash balances, and short-term cash forecasting. The Division is also responsible for issuing and servicing bonded debt, administering the Commercial Paper Program, custodianship of security instruments held as deposit, and administering loans. 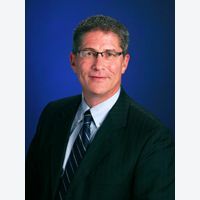 An industry-known leader, Gene Seroka brings more than 28 years of experience in shipping, global logistics and executive management to the Port of Los Angeles. 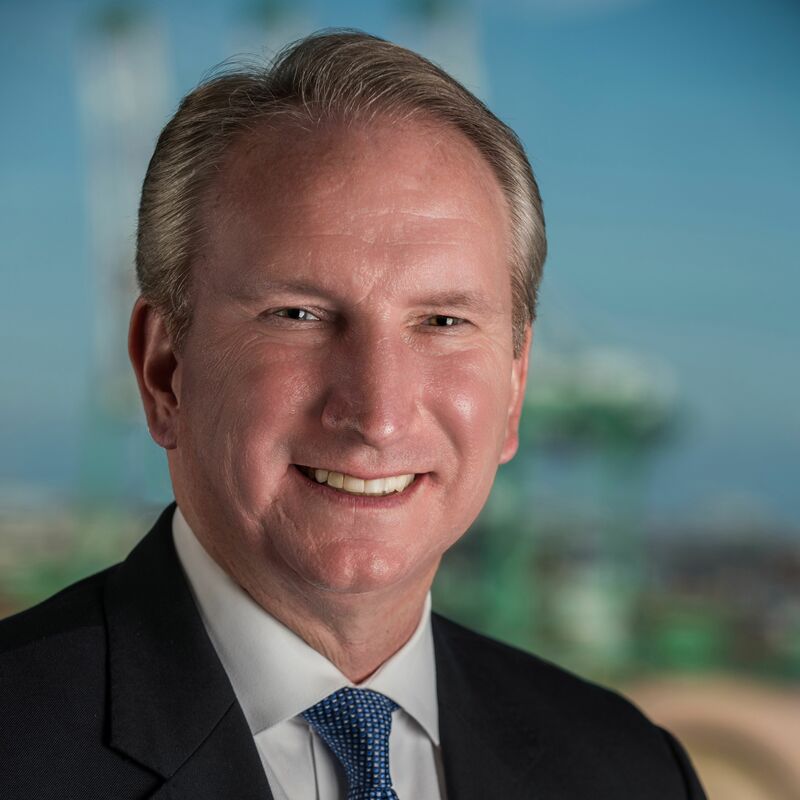 As executive director of the busiest container port in North America, he is responsible for managing more than a $1 billion budget, leading a team of more than 900 employees, advancing major capital projects, growing cargo volumes, and promoting innovative, sustainable practices that improve Southern California’s economy and quality of life. His duties involve interacting with a wide range of stakeholders, including Port customers worldwide, supply chain partners, labor, community members, and elected and appointed officials at all levels. He is a member of the U.S. Department of Commerce Advisory Committee on Supply Chain Competitiveness, U.S. Department of Transportation Bureau of Transportation Port Performance Freight Statistics Working Group, U.S. Maritime Administration Marine Transportation System National Advisory Committee, and Federal Maritime Commission Supply Chain Innovation Team. He is an alumnus of the University of New Orleans, where he earned a Bachelor’s Degree in Marketing and a Master’s Degree in Business Administration. Marla Bleavins is Deputy Executive Director and Chief Financial Officer for the Port of Los Angeles, the number one container port in the nation and — with its AA and Aa2 bond rating — the highest-rated U.S. seaport operating without tax support. Appointed in January 2015, she manages the Port’s financial affairs and oversees the Accounting, Contracts and Purchasing, Financial Management, Debt and Treasury, Risk Management, Internal Management Audit, and Human Resources divisions. Bleavins brings to the post an outstanding, results-oriented public finance track record with extensive knowledge of the City of Los Angeles and its financial structures. 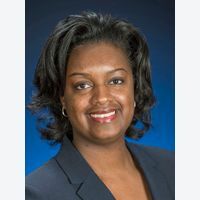 Prior to her appointment to the Port, Bleavins most recently served as Assistant General Manager for Finance and Administration at the City of Los Angeles Department of Convention and Tourism Development. Prior to that, she served as Project Manager and Debt and Treasury Manager at Los Angeles World Airports. Bleavins holds a bachelor of arts in public policy and political science from Stanford University. She earned her master’s degree in business administration from the Wharton School at the University of Pennsylvania. 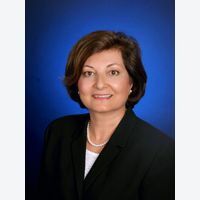 Soheila Sajadian is the Director of Debt and Treasury Management Division for the Port of Los Angeles, the number one container port in the nation. With its AA and Aa2 bond ratings — the highest assigned to any U.S. seaport operating without tax support — the Port has maintained its stellar credit rating since 2003. As Director of Debt and Treasury, Sajadian is responsible for the management and oversight of the Port’s debt portfolio, including the administration of its commercial paper program, various reserve funds, and cash management section. 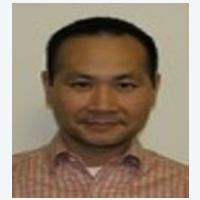 Sajadian was appointed to lead Debt and Treasury Management Division in December 2006. Prior to that, she served as a financial manager for the Port’s Treasury Management Division, helping strengthen the Port's relationship with various rating agencies, working with outside bond and disclosure counsels, the investment banking community, and the Port’s financial advisors. Sajadian is responsible for the financing of capital improvement projects through issuance of short-term and long-term debt, ensuring the Port is obtaining the lowest capital cost and managing the Port’s cash flow to ensure liquidity and the maximum rate of return on the Port’s investments. She has managed debt issuance of $2 billion for the Department, resulting in average annual savings of $3.5 million in debt service through refunding and redemption of debt. Prior to joining the Port in 2003, Sajadian held several key financial positions at Fortune 500 companies, nonprofits and private-industry corporations. Her experience includes program control, financial management, budget formulation, financial forecasts, contract pricing, and financial reviews for global outsourcing projects. Sajadian is a member of Government Finance Officers Association and California Municipal Treasurers Association. Sajadian holds a master’s degree in business administration with concentration in finance from Virginia Polytechnic Institute, and a bachelor’s degree in management science from Long Island University. Darian Chin serves as a Financial Manager in the Debt & Treasury Management Division at the Port of Los Angeles. Darian assists with managing the Port’s long term bond portfolio and short-term liquidity facilities. Among his responsibilities, Darian creates, maintains and updates the Port’s 12-month cash forecast; calculates the Port's weighted average cost of capital, and prepares financials in compliance with continuing disclosure requirements. As new money is needed or refunding opportunities arise, Darian contributes by assisting in the drafting, circulating, revising and submitting of the Official Statement as well as rating agency and investor presentations. Prior to joining the Debt & Treasury Management Division in May 2018, Darian was a Financial Analyst with the Port of Los Angeles’ Financial Management Division since 2006 before being promoted to Financial Manager in 2013. While in the Financial Management Division, Darian was chiefly responsible for developing and maintaining financial models including the Port’s 10-year dynamic financial forecast model that evaluated debt issuance impacts; revenue forecast models; pricing strategy modeling; and discount cash flow valuation models for capital development initiatives. Immediately prior to the Port of Los Angeles, Darian taught economics, finance (including money and banking), and applied business statistics at a state university; was appointed as an economist at a federal agency; and worked in financial valuation modeling for a boutique real estate financial services advisory firm located in the downtown LA business district. Darian earned a B.A. in Economics from the University of Southern California. He also holds dual master’s degrees, an M.A. in Economics and an MBA as well as a certification in Predictive Analytics from Cal Tech. Phillip Sanfield is the director of media relations for the Port of Los Angeles. He serves as the media spokesperson for the Port and is responsible for media inquiries. Sanfield establishes and maintains relationships with local, national and international media, and strives for accuracy in resulting media coverage and Port messaging. Among other duties, he coordinates press conferences, media tours, interviews, editorial submissions, photography and video shoots. Prior to his appointment at the Port in 2009, Sanfield had a journalism career spanning more than two decades in Southern California. From 2006 through his departure in 2009, he was the editor of The Daily Breeze, an award-winning newspaper covering more than 15 communities in the South Bay and Harbor Area of Southern California. From 1991 to 1998, Sanfield was the managing editor of The News-Pilot, a daily newspaper in San Pedro focusing on the Harbor Area and Port issues. He also spent two years in the Coachella Valley as a reporter. Sanfield resides in Torrance with his wife Judy and their three children.